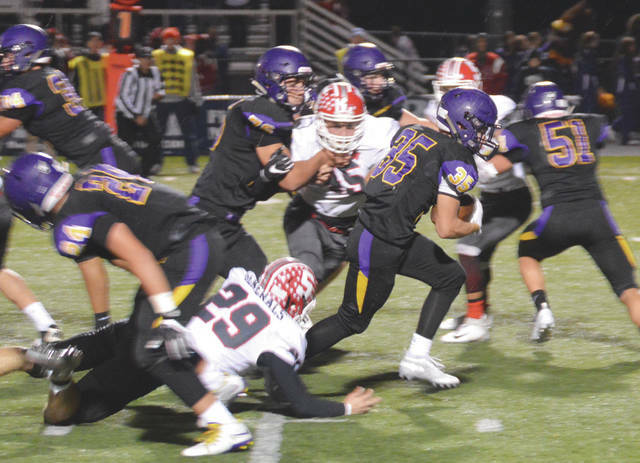 https://www.xeniagazette.com/wp-content/uploads/sites/32/2018/11/web1_JustinSloanOHIO_PS.jpgBellbrook running back Justin Sloan (35) was named to the Division III All-Ohio Third Team offense. Teammate and offensive lineman Ethan Knisley (not pictured) was named to the All-Ohio First Team. File Photos. 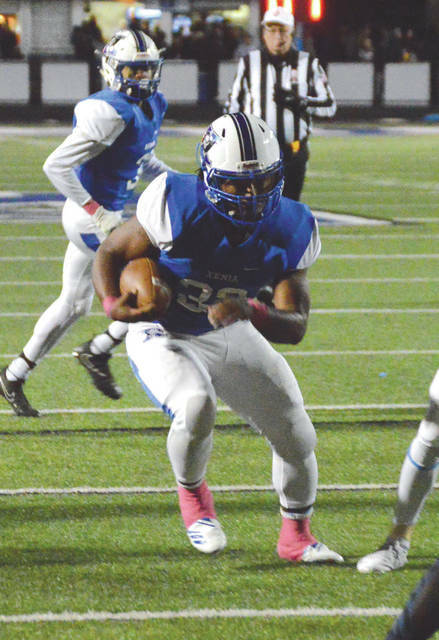 https://www.xeniagazette.com/wp-content/uploads/sites/32/2018/11/web1_WellsOhio_PS.jpgXenia running back Sincere Wells was one of eight Greene County area high school football players to receive All-Ohio Special Mention recognition this season. File Photos.